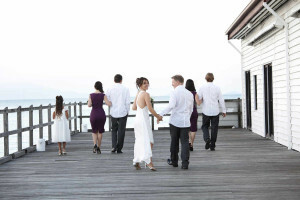 Port Douglas is one of the most beautiful locations in Australia to have a wedding, and has been a famous, yet secluded location for weddings from people all over the world. Natasha Kollosche, a well known wedding Celebrant in Port Douglas is a young and vibrant Civil Marriage Celebrant. Having officiated over 350 weddings, Natasha takes pride in offering a professional service from start to finish and is committed to making your wedding ceremony stress-free, special and memorable. Services include composing and delivering a personalised wedding ceremony, ensuring all legal obligations are met and offering advice on all aspects of your ceremony. 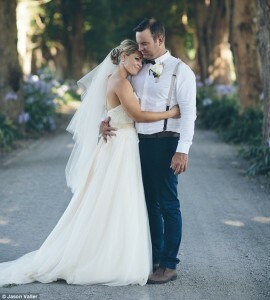 Natasha will work with you to create a wedding ceremony that reflects your wishes, personality and style, ensuring your special day is perfect. 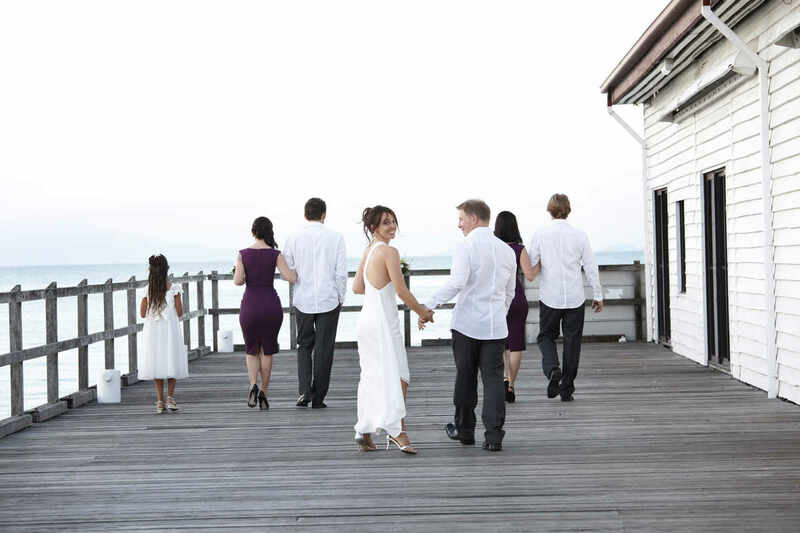 Port Douglas provides a wonderful venue for stylish and romantic wedding receptions in the heart of Port Douglas, close to much of the accommodation in town and St Mary’s church. With dedicated areas for you, your friends and relatives, your reception can be held without interruption from other restaurant patrons. Get in touch with Natasha about locations for your special day! 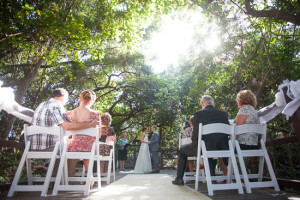 Port Douglas Weddings was the first wedding business in Port Douglas established in 1986. Since then, it has been planning and organizing an average of 400 weddings per year for couples from all over the world as well as Australia. Port Douglas Weddings is the sole nominated booking agent for all weddings at St. Mary’s by the Sea – an historic 1880 fully restored non-denominational church. 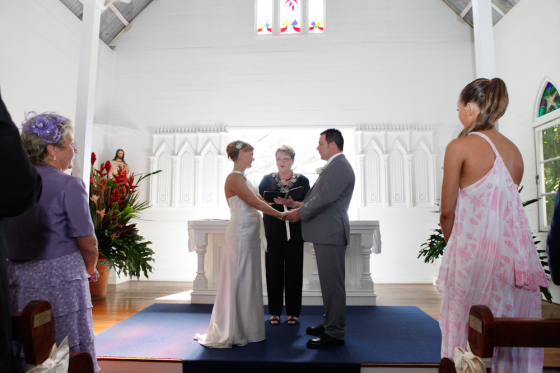 The church, situated in the heart of Port Douglas, has a huge glass altar window which offers breathtaking views of the Coral Sea and rainforest clad mountains, stained glass windows, traditional wooden pews and a church bell which will be ringing on your wedding day – Virtual tour of St Mary’s. 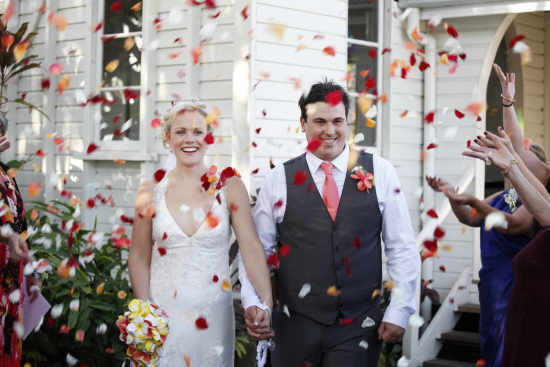 Port Douglas Weddings can take care of all your wedding arrangements from church hire, tropical outdoor locations, accommodation reservations, photography and video, transportation, gown hire, make up and nails, flowers, restaurants, receptions and music. Port Douglas Weddings offers wedding couples many exotic locations to choose from for their wedding ceremony, including churches, islands, secluded beaches and tropical outdoor garden settings. If you’ve gathered everyone in one place, why not throw the big send off right here in Port Douglas? We recommend searching through hensandbucks.com.au when looking for a party planner, bachelor/bachelorette cruise or other ‘entertainment’. For further information about getting married in Port Douglas also visit www.portdouglasrestorations.com for information about the Port Douglas Restoration Society and the restoration of St Mary’s By The Sea for special wedding packages available in Port Douglas.